I've returned from my very first Shakespeare Theatre Association conference, which was basically four days spent hanging out at the University of Notre Dame with a whole range of awesome Shakespearean theatre artists and educators. They were probably four of the most exciting days of my Shakespearean life. For a more complete rundown of my conference experience, check out my most recent Weekly Tickle Brain newsletter. The highlight of the conference for me was meeting members of the Robinson Shakespeare Company. 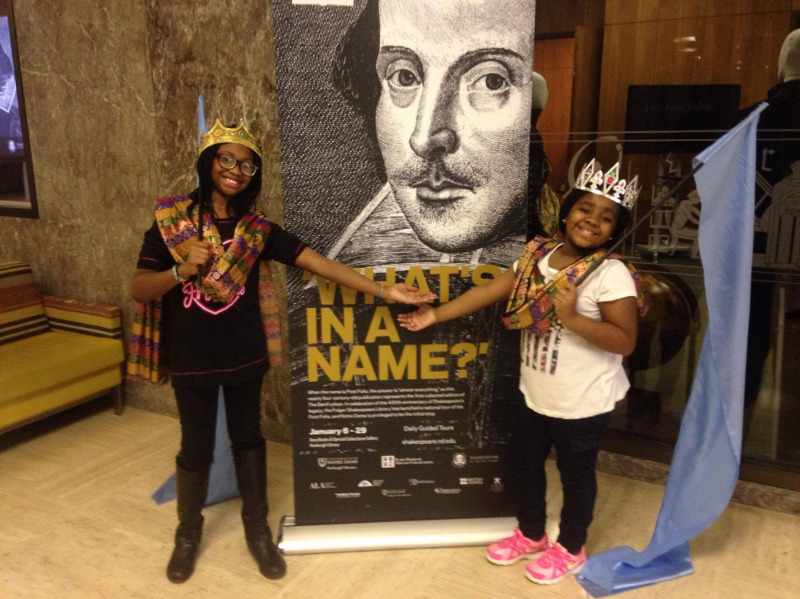 Aged 8 to 18, these kids meet once a week to work and play with Shakespeare, and put on two performances a year. They are AMAZING. They are far more comfortable speaking Shakespeare's language than I am, and can rattle of monologues from Cymbeline and The Winter's Tale like it's no big deal. If this is the next generation of Shakespeare practitioners, all I can say is that Shakespeare is in good hands. They were super-excited to see the Folio, which was open to Hamlet, and immediately started reading The Big Speech. Let's be honest... it totally says "fuffled off this mortal coil".